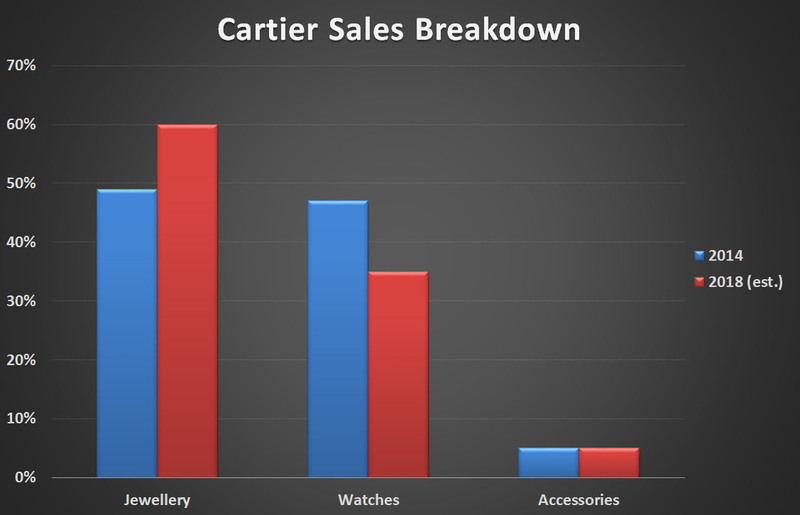 Source: RBC Capital Markets estimates. 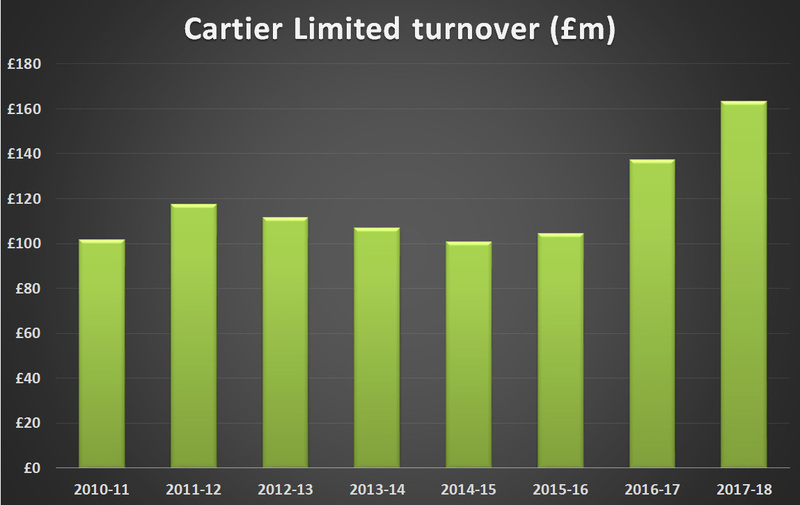 If that breakdown is the same in the UK — Richemont does not provide this level of detail in its annual accounts — Cartier watch sales in the UK would be worth £57 million. 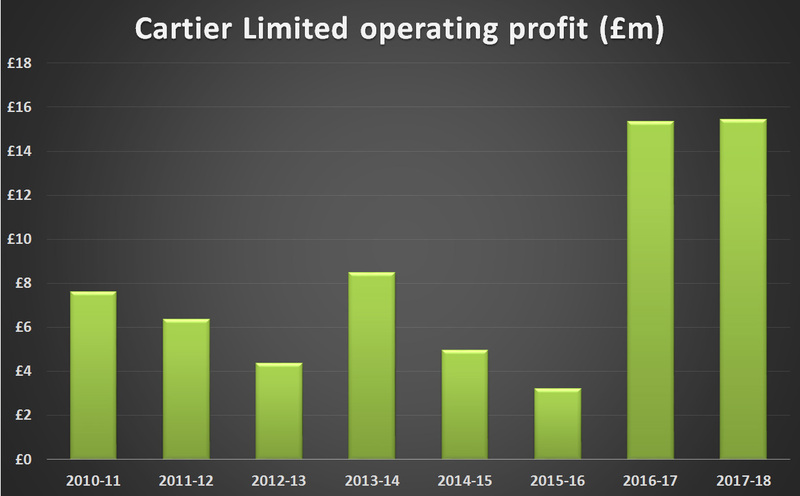 To put that in context, Patek Philippe sales in the UK were £142 million in the year ending January 2017. 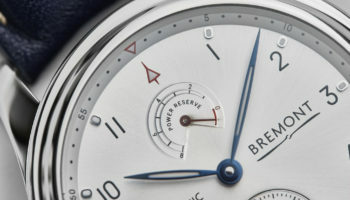 Breitling’s UK sales totalled £42 million in 2016. 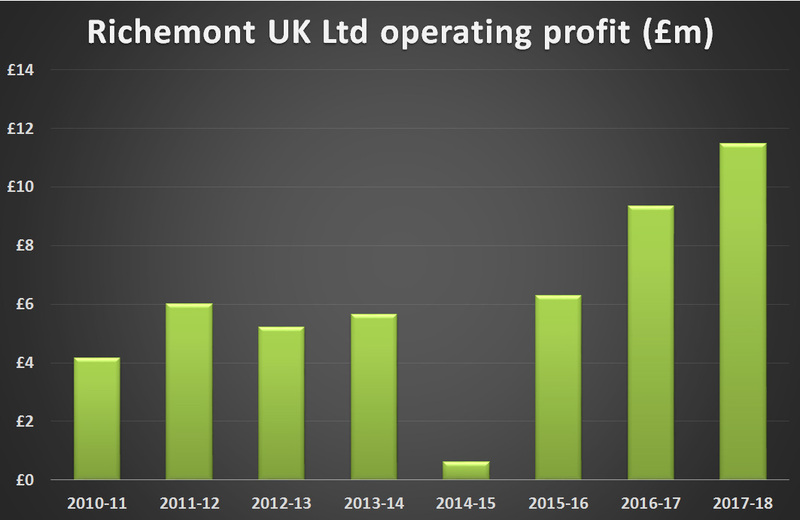 Richemont UK Limited, alone, saw sales rise 30% in 2017-18 to £142.6 million. 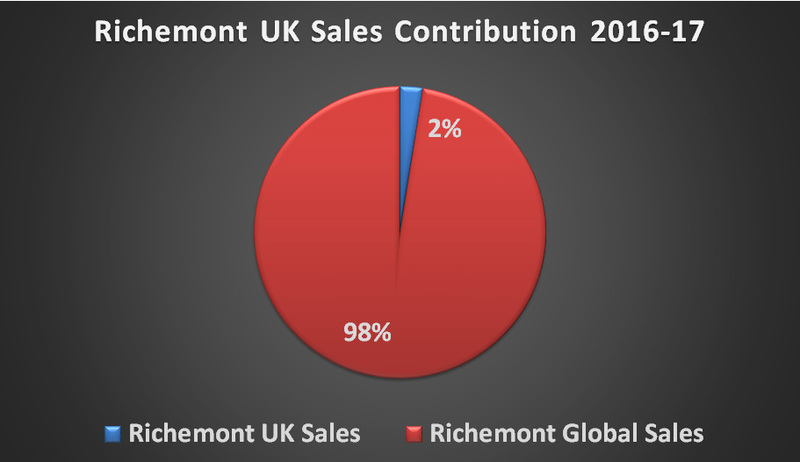 The figure includes Montblanc UK sales for the first time. 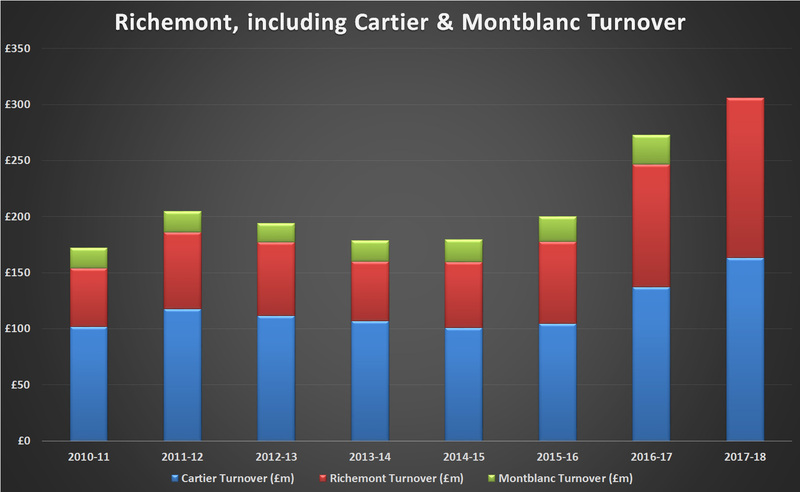 Montblanc had sales of £26 million in 2016-17. 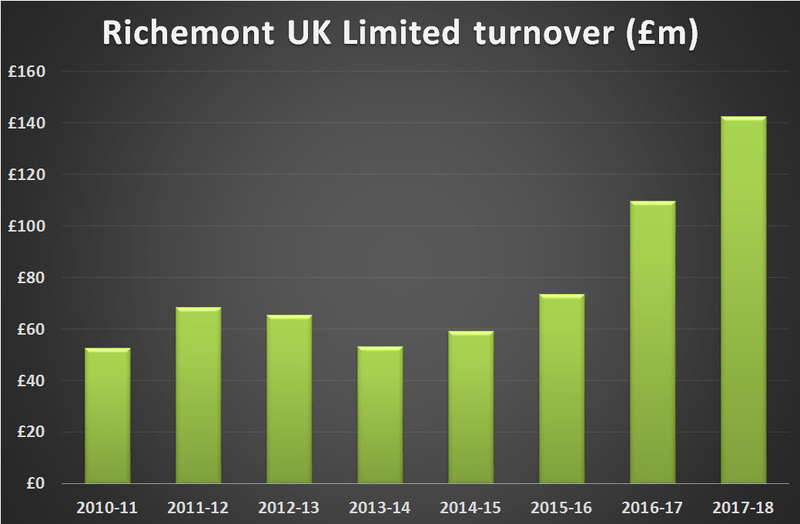 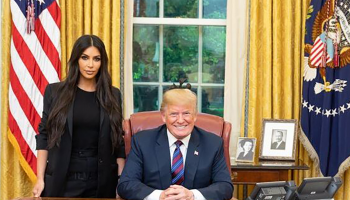 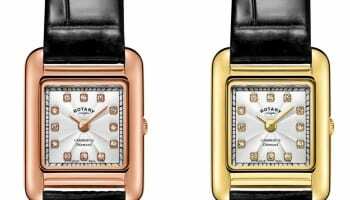 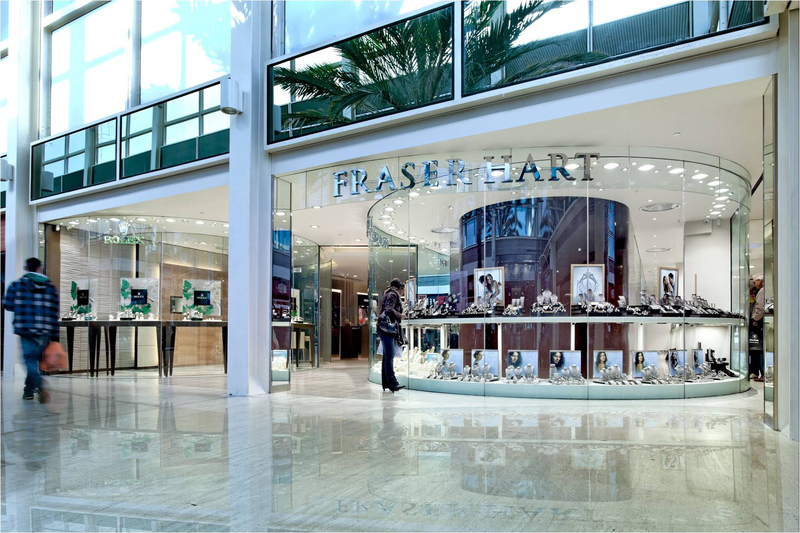 This suggests that all other Richemont brands, including Jaeger-LeCoultre, IWC, Baume & Mercier and Vacheron Constantin, saw an increase in sales of around £10 million (wholesale) in the UK last year. That is still half what might be expected given that the UK represents 6% of global exports of all Swiss watchmakers, according to Federation of Swiss Watch Industry figures for 2017.